It's an all-podcast blog today! 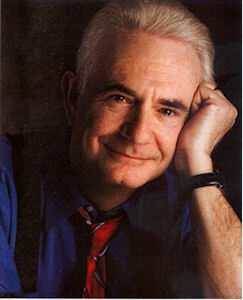 On the eve of pop culture's historic Joyce DeWitt-Suzanne Somers peace summit, er, YouTube reunion following their legendary 31-year estrangement, Three's Company co-star Richard Kline -- TV's lovably libidinous Larry Dallas -- breaks his silence on Chris Mann's Reimagine That! about their reconciliation and offers his insights into Suzanne's contentiou$ 1981 exit from their hit 1977-84 sitcom. The accomplished stage and screen actor/director/acting coach also reveals how he's coped with the loss of his dear friend, Three's Company star John Ritter, who tragically passed away in 2003. As the breakthrough sitcom reaches its 35th anniversary this spring, Kline reveals his previous plans for a stage version of the wacky roommate farce and describes his experience as James Franco's special guest last year during the Oscar-nominated actor's bizzare Sundance presentation Three's Company: The Drama. Finally, find out the hysterical comment Richard made to a PerezHilton.com story quoting Suzanne as saying that "everybody's gone from that show." Also, host and Three's Company tell-all author Chris Mann offers an exclusive, in-depth historical analysis of Suzanne and Joyce's separation -- including Joyce's repeated efforts to reconcile in the last 15 years -- as well as failed attempts at/missed opportunities for Three's Company reunions from the mid-'90s onward. You won't get this detailed backstory anywhere else, folks! Finally, Reimagine That! resident dream weaver Yvonne Ryba shares fascinating insights about inspirational dreams. So go listen to this MUST-LISTEN podcast from the great Chris Mann! And stay with us tomorrow for the highly anticipated reunion between Joyce DeWitt and Suzanne Somers, as it goes viral! What a birthday present for me (Pavan) as today's my birthday. Next, our buddy Eric of Just My Show is back for another classic TV podcast featuring an interview with a classic TV star! 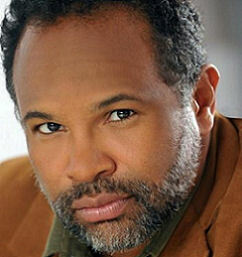 Just My Show kicks off its seventh season with special guest Geoffrey Owens (Elvin!) from The Cosby Show! Find out everything you ever wanted to know about Elvin and one of the greatest TV comedies of all-time. From joining the Cosby Show cast to its racial impact and its historic finale...it's all at Just My Show! Was Elvin really a male chauvinist or what? You'll find out here! Plus, remembering Kotter's Robert Hegyes, John Parr revisits St. Elmo and more in the latest edition of New News About Old Stuff. So without further adieu, listen to this must-listen podcast with Elvin!